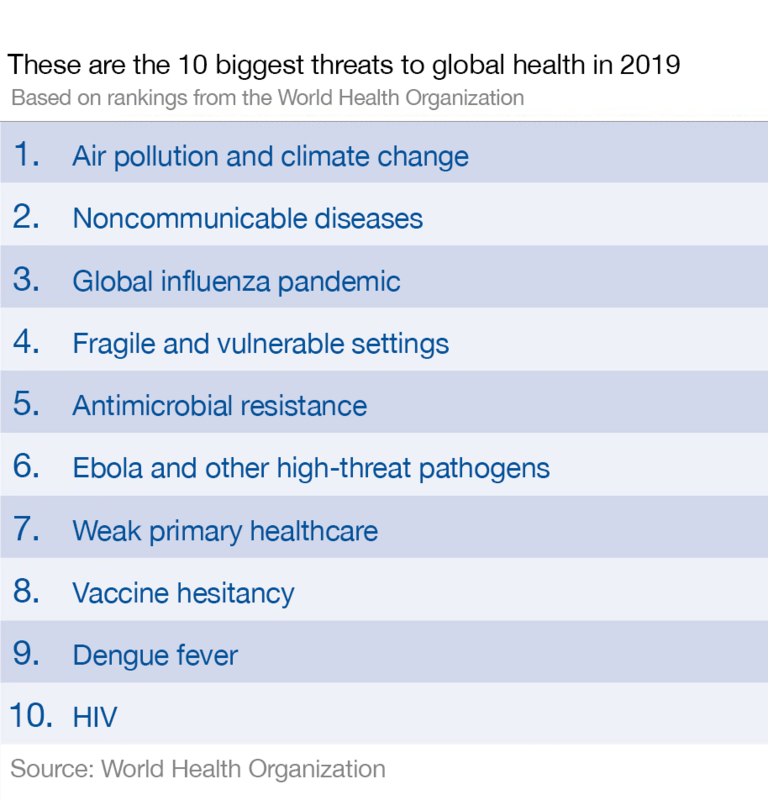 The global population faces diverse health challenges, ranging from serious virus outbreaks and drug-resistant bacteria, to the increase in non-communicable diseases like obesity and heart disease. While some parts of the world have limited access to vaccines, patients in other regions are reluctant to use them, partly because of the anti-vaccine movement. Another area of huge concern is the toll that pollution and climate change take on health.